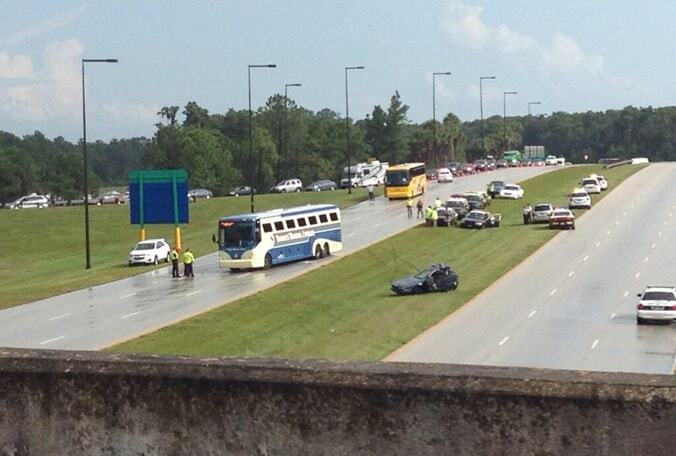 Just before 4:00 this afternoon a fatal crash occurred between a car and a Disney’s Magical Express bus. The driver of the car, a woman in her 60’s, later died at Celebration Hospital. Two people on the bus, including one child, are be treated at a nearby hospital as a precaution. Their injuries are not life threatening. The accident took place on Epcot Center Drive. A second car is rumored to have been involved but there are no reports of injuries in that car. The bus was traveling from Orlando International Airport at the time of the accident. Disney’s Magical Express is operated by Mears Transportation.